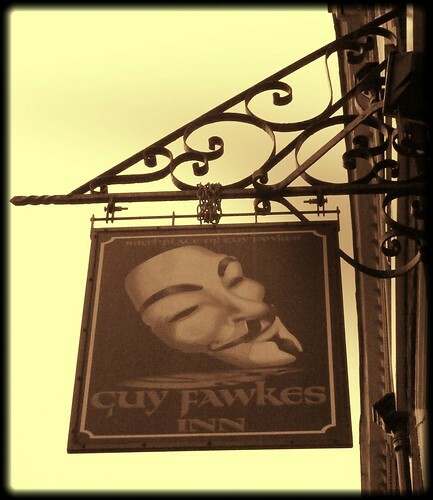 On the eve of May 20th 1604 five men met at the ‘Duck and Drake Inn’ this was to be the first of many meetings to plan what some consider could have been the biggest terror attack England has ever seen, The Gunpowder Plot. John Wright, Thomas Wintour, Thomas Percy, Guido (Guy) Fawkes and their leader Robert Catesby were the five main conspirators of the gunpowder plot, although later on in a confession made by Thomas Wintour it was found that a total of thirteen men had conspired to blow up the Houses of Parliment, these five men were at the heart of the plot. So why did they plan to blow up the King and how did Catesby get a group of men to follow such a traitorous plan? Well, in February 1604 Protestant King James I ordered all Catholic priests to leave the country. Catesby, his cousin Thomas Wintour and John Wright were not happy with this and plotted to kill the King and replace him with his daughter, Princess Elizabeth. However, they did not have enough support to take down the King so Catesby sent his cousin Wintour to Spain to ask for their help. Although Spain and England had been bitter enemies, Spain wanted peace with England and refused to help but while out in Spain Wintour was introduced to Guy Fawkes. Guy Fawkes was at this point fighting for the Spanish army in Flanders. Fawkes was a British national but hated the Scottish and detested King James’s plan to unify the countries. Wintour was interested in Fawkes because of his knowledge and expertise in explosives so explained his plan to assassinate the King. Fawkes was onboard and the two sailed back to England to continue their plotting. This takes us to the meeting at the Duck and Drake Inn on Sunday 20th May 1604. Through family connections Thomas Percy managed to secure a position in the Royal Bodyguard, this meant the men now had an insider as well as a house not far from Parliament. Guy Fawkes then posed as Percy’s servant so he could move freely through Parliament. While Fawkes and Percy were mapping out Parliament the other 3 men started storing Gunpowder in the house and in December 1604 had started construction of a tunnel towards Parliament. By February 1605 the plotters had reached the foundations of the House of Lords. However, on the 25th March 1605 in a stroke of luck, Thomas Percy managed to secure a Vault right under the House of Lords and the tunnel was no longer necessary. So Fawkes started loading up the Vault with the barrels of gunpowder and kindling which he concealed by placing firewood around it. They had originally planned to put their plot into play on October 1605 but due to concerns with the plague, the opening of Parliament was delayed until November 5th. In a bizarre twist, Lord Monteagle receives an unsigned letter telling him not to attend the opening of Parliament. Lord Monteagle did show the letter to the King’s Chief minister but was not aware that one of his own servants got word to the plotters that their plot may be in peril. This did not deter the plotters and Guy Fawkes was sent to ensure that everything in the vault was still in place, it was and the plan was still in motion. On the 2nd November, the letter sent to Monteagle was presented to the King and he immediately orders a covert search of Parliament. While the vault hiding the Gunpowder was noted straight away during the search Guy Fawkes told the guards it was a large amount of firewood being stored by his master, the Royal Bodyguard Thomas Percy and the search team considered this to be true. However, just after midnight on the 5th November 1605 the King ordered another search of Parliament and Fawkes is found dressed for a crossing over the Thames. He was also found in possession of fuses and matches so was quickly arrested. Further searches of the vault revealed 36 barrels of gunpowder and Fawkes was dragged before King James for questioning. Over the next following months, the plotters were rounded up and put on trial for treason. On the 27th January 1606 eight of the men including Fawkes was found guilty of treason at Westminster Hall. The punishment for such an attempt on the Kings life was a most unpleasant death and on the 31st of January 1606, Fawkes was hung in a public execution. After this, on the 5th November 1606 Londoners were encouraged to celebrate the escape their King had made from the assassination attempt and instructed big bonfires to be lit as part of the celebrations. Parliament decided to make the 5th November a day of thanksgiving, this remained in place until 1859. 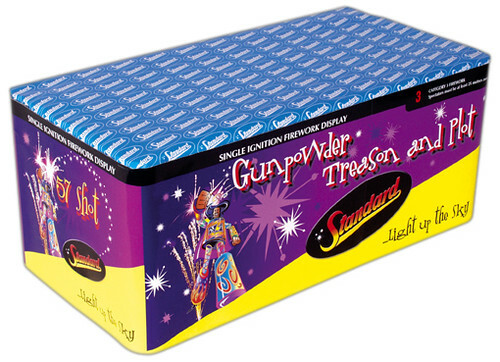 However, by the 1650’s people had started to combine fireworks shipped in from China with their bonfires to create a celebration like no other. Although Parliament does not officially recognise the 5th November as a day of celebration or holiday it is still very widely accepted as one of the biggest celebration nights of the year.